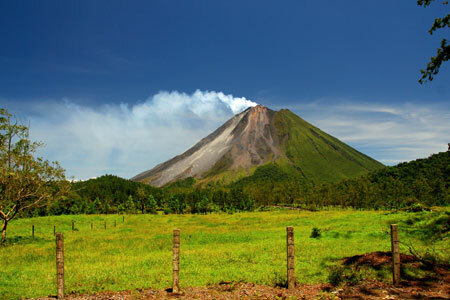 Located in the western section of the country and bordering Guatemala’s department of El Petén, the Cayo District is a vast highland stretch of rainforests, cattle ranches, pine lands, and some of the country’s most rugged, remote terrain. It’s a region you head to not for beaches (there are none), but for Mayan ruins, extensive cave systems, and the chance to explore the great outdoors on foot, by horse, or via kayak, canoe, or raft. It’s a region you head to not for beaches (there are none), but for Mayan ruins, extensive cave systems, and the chance to explore the great outdoors on foot, by horse, or via kayak, canoe, or raft. The country’s capital, Belmopan, is located here, but the real hub of the district is San Ignacio, a small town located approximately 70 miles from Belize City. Its colonial-era streets and funky medley of restaurants and shops cater to a hodgepodge mix of tourists and mestizo, Mayan, Creole, and Mennonite locals. 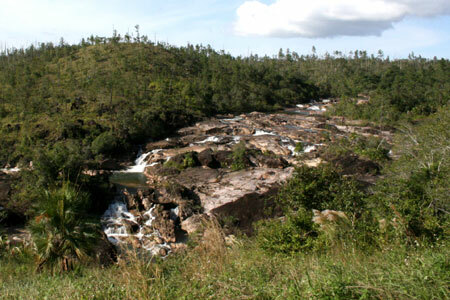 Two rivers, the Macal and the Mopan, run through the area and carry canoers, kayakers, and swimmers past lush, green shores. 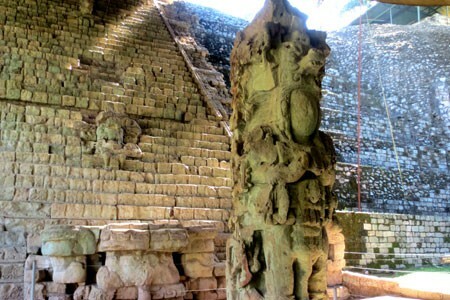 Mayan ruins are just a stone’s throw away: Walk to the archaeological site of Cahal Pech to explore the excavated royal residences of the ancient Mayan elite (you’ll get some great panoramic views of San Ignacio and the Belize River Valley, too), or take a short drive to the impressive Mayan ceremonial center of Xunantunich; from its 130-foot-high “El Castillo” pyramid (the second tallest in the country), you can see all the way to Guatemala. 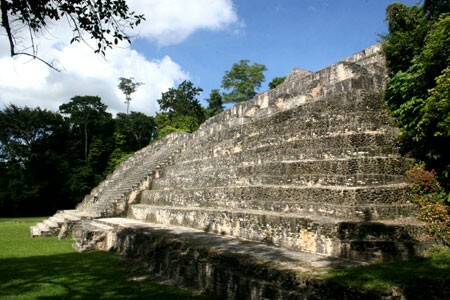 Beyond the San Ignacio area, and particularly in the Cayo District’s southern region, you’ll find a handful of other not-to-miss attractions, including the Mountain Pine Ridge Forest Reserve, Belize’s oldest and largest park. 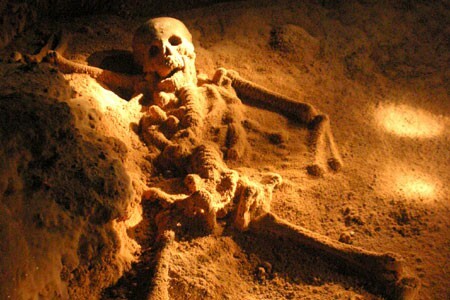 Here, you can canoe through the Barton Creek Cave—it still contains Mayan ceramics and calcified skeletal remains—and try your luck spotting king vultures, orange-breasted falcons, and other rare bird species. 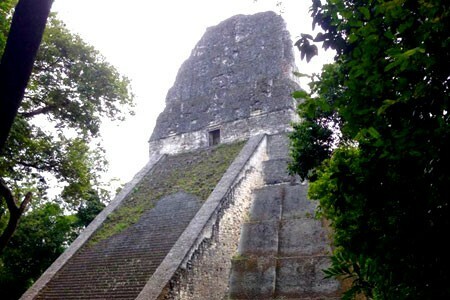 There’s also Caracol, an ancient Mayan city that at its peak may have been home to more than 100,000 residents, and Chiquibul National Park. 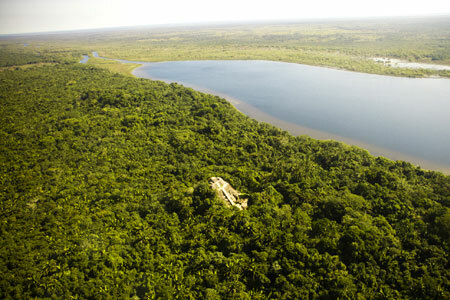 The latter is the largest intact tropical forest north of the Amazon and is home to myriad endangered animals, such as jaguars, Baird’s tapirs, red-eyed tree frogs, and Morelet’s crocodiles. This diverse town of 18,000 has long attracted residents from near and far. Wandering among the fruit, vegetable, and handicraft stalls on market day, you’re likely to overhear conversations in Yucatec Maya, Spanish, Belizean Creole, English, Lebanese, Chinese, and German. 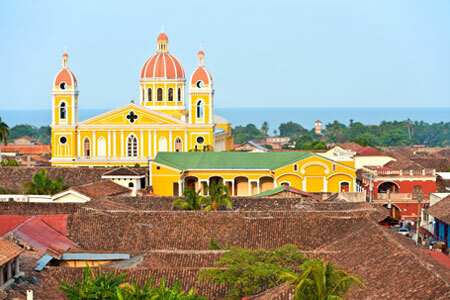 While this economic and cultural center is not generally a traveler destination in itself, nearby you’ll find exceptionally appointed eco-lodges where you can unwind by the Macal River and make day trips to Mountain Pine Ridge Forest Reserve, Chiquibul National Park, and the Caracol archaeological site. 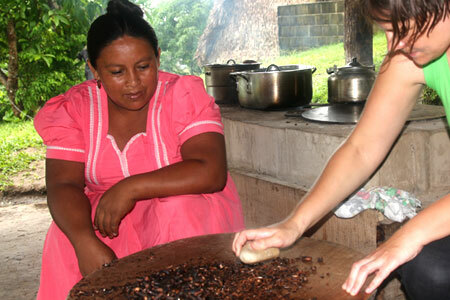 If you have a sweet tooth, try one of the chocolate-making workshops and tours in this cacao-rich region. Belize’s oldest, largest (106,000 acres), and most-visited park offers caves to explore, cool rivers for swimming, cascading waterfalls, and a vast expanse of forest where birds dart among the pines. Slightly cooler than the lowlands, this is a prime destination for bird watching and trekking. 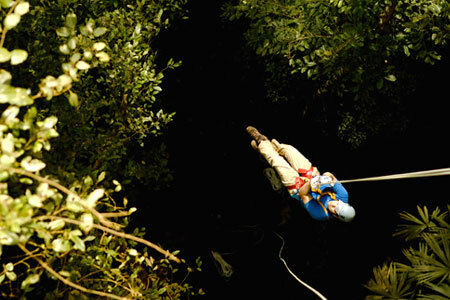 Here you’ll find Rio Frio Cave, an easy-to-access cave with wide entrances and photo-friendly natural sources of light. 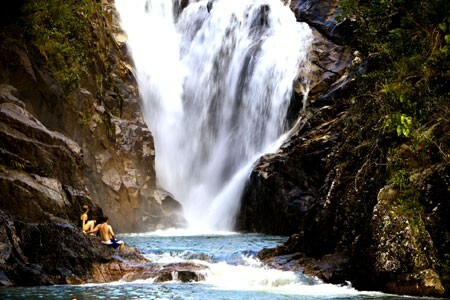 And don’t miss Rio On Pools, a series of cascading waterfalls tumbling into tranquil pools where you can take a refreshing dip surrounded by nature’s beauty. 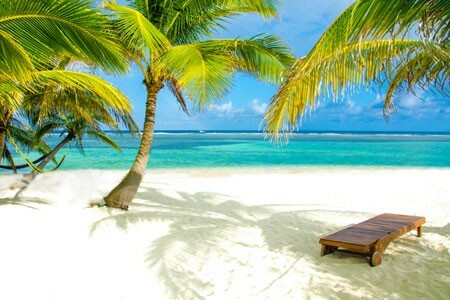 Ambergris Caye runs parallel to the magnificent Belize Barrier Reef. 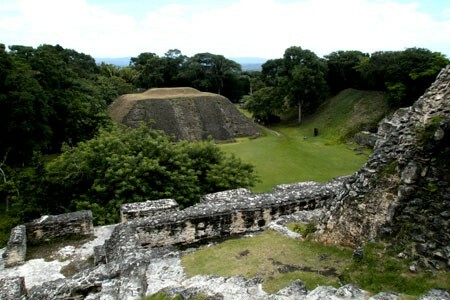 Once home to the ancient Maya, Ambergris is accessible by boat or plane. It's a popular destination for diving, snorkeling, sailing, and fishing. Orange Walk has steamy jungle rivers, wildlife & some of the country's most important Maya ruins. By day, be an intrepid jungle explorer. At night, return to a thatch-roof villa & a bottle of red. 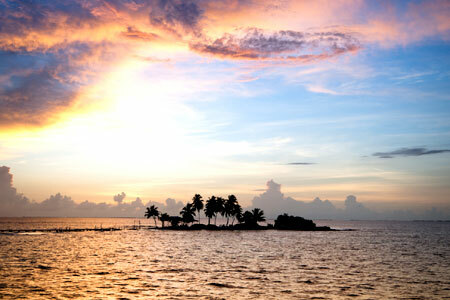 Placencia is a 16-mile peninsula of sandy beaches with a fishing village at its southernmost tip. Flanked by a lagoon with views of the Maya Mountains and by mangroves & the Caribbean Sea. Toledo is one of the country's top ecotourism destinations. Often described as the "last frontier," it comprises a half-dozen rivers, rainforests, parks, and reserves, and even more Kekchi and Mopan Maya villages. 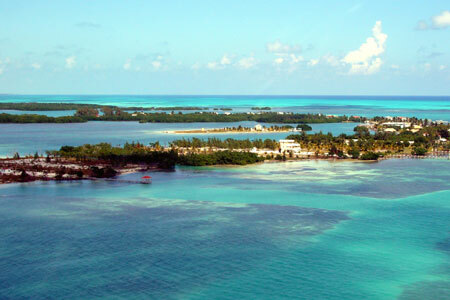 Hundreds of cayes and atolls line Belize's Caribbean coast. 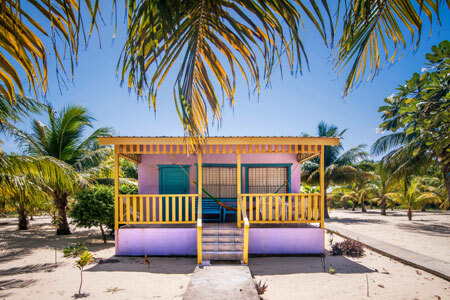 Some are barren while others proffer postcard-perfect palms, mangrove clusters, and beaches off of which you'll find exceptional snorkeling, fishing, and diving.